SHENZHEN, China — The CEO of Taiwan's Foxconn, which assembles Apple iPhones and other products for tech companies, said Wednesday that Washington's dispute with China is over technology rather than trade. 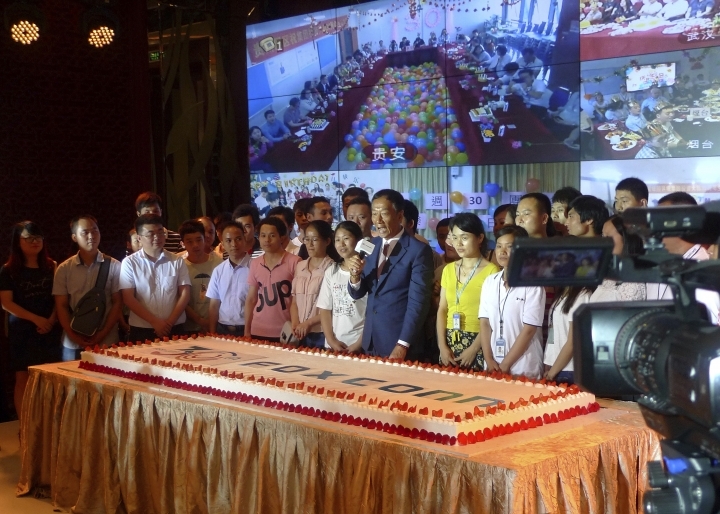 Terry Gou's comments at an event celebrating the anniversary of Foxconn's first investment in mainland China follow Beijing's threat to scrap trade deals with Washington if President Trump's tariff hike on Chinese technology products goes ahead. "This is not a trade conflict but rather a competition and comparison of technology," said Gou in a video shown in the event. 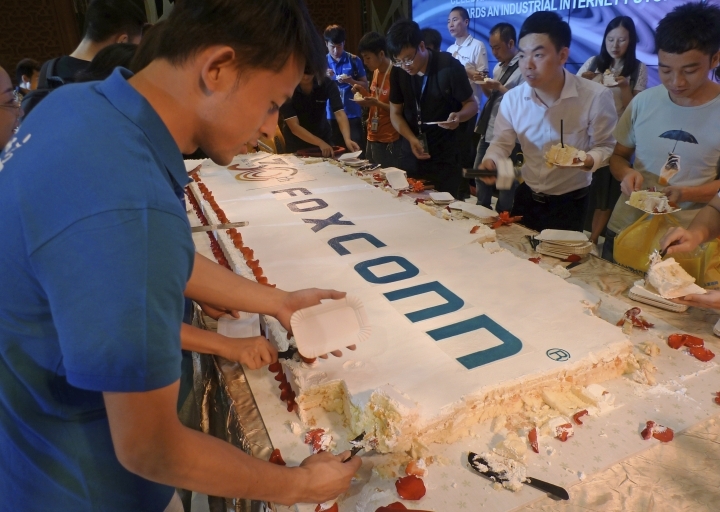 Foxconn Technology Group, also known as Hon Hai President Industry Co., is the world's biggest contract manufacturer of smartphones, computers and other technology products and is trying to develop its own brands. 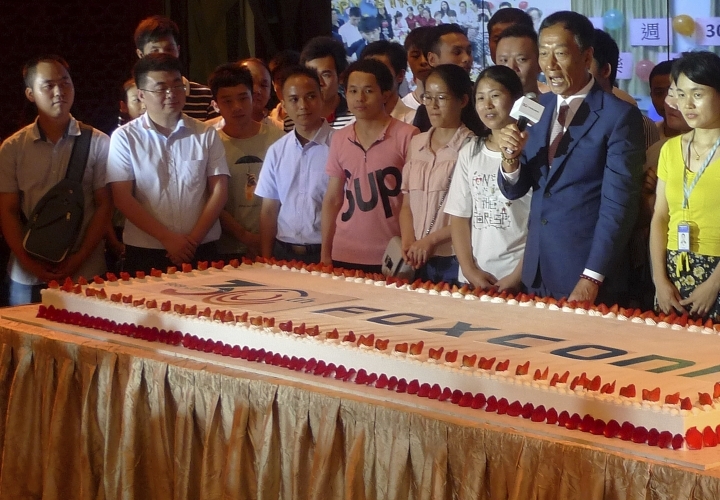 Gou said he planned to take part in a groundbreaking ceremony at the end of June for a $10 billion factory that Foxconn is set to build in Wisconsin, but he and other executives said nothing else about the company's plans there or other initiatives outside China. The White House renewed its threat last week to impose 25 percent tariffs on Chinese technology-related goods in response to complaints Beijing steals or pressures foreign companies to hand over technology. It is due to release a list of products on June 15. The Chinese government warned Sunday it would scrap deals to narrow its trade surplus with the United States by purchasing more American soybeans and other goods if Trump's tariffs went ahead. In the video, Gou said the "U.S. is significantly ahead of China" in areas such as jet engines and semiconductors. "If China is to catch up, allow me to speak frankly, it must be in the areas of manufacturing technology, design and manufacturing technology," he said. "They are the real economy." 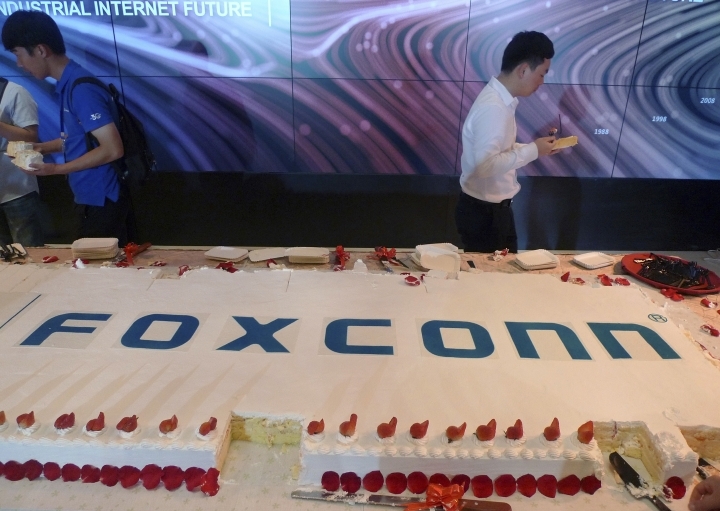 Foxconn is trying to develop beyond its roots as a low-cost assembler of products and become an advanced manufacturer and bigger player in the global supply chain. The company says its Wisconsin factory will make liquid crystal display panels for use in computers, TVs and self-driving cars. Associated Press video journalist Dake Kang contributed to this report.